A Delta Airlines flight bound for Portland, Maine was delayed two hours on Monday after a heated argument broke out between the pilot and a flight attendant. Before the plane took off from New York’s LaGuardia airport, the 54-year-old pilot called the 26-year-old attendant “a piece of sh*t,” with each claiming that the other grabbed their arm. One witness told the New York Daily News that the pilot’s "conversation was racist, inconsiderate and unprofessional," and that flight attendants were interviewed about the incident on the jet bridge by up to six Port Authority police officers, some of whom were carrying "huge" firearms. There were no arrests made and officers determined that neither party sustained injuries, but the crew made the pair disembark the plane. The flight left the gate at 1:30 p.m., two hours after its scheduled departure time. A Delta spokesman explained that the 76-seat plane was being operated by a subsidiary of the airline called Endeavor Air. 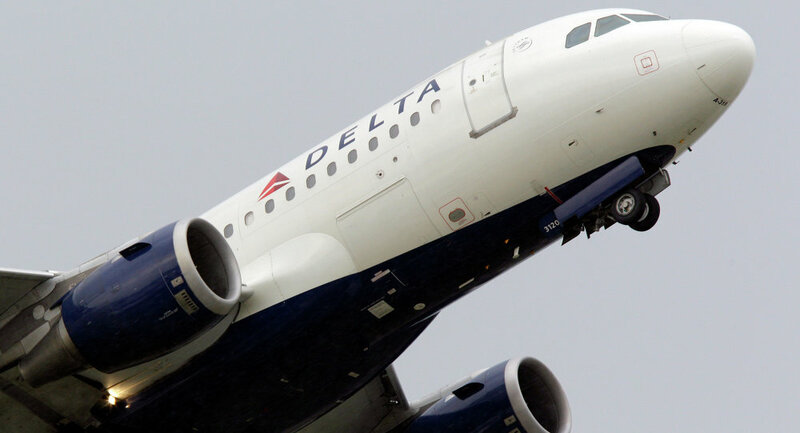 He said in a statement, "Endeavor Air apologizes to the customers on board Endeavor Air flight 3925, operating as Delta Connection, from LaGuardia to Portland, Maine whose travel was inconvenienced as a result of a disagreement between two crew members. The actions of these crew members, as described, in no way reflects the respect, values and professionalism we expect from our employees."